I'm just gonna go ahead and say it - the month of April flew by! I swear it was just April 9th the last time I checked my calendar. 2016 is going by so fast; it'll be the blog's first birthday before I know it! I'm trying to plan something special for that (it won't be until July) so stay tuned. 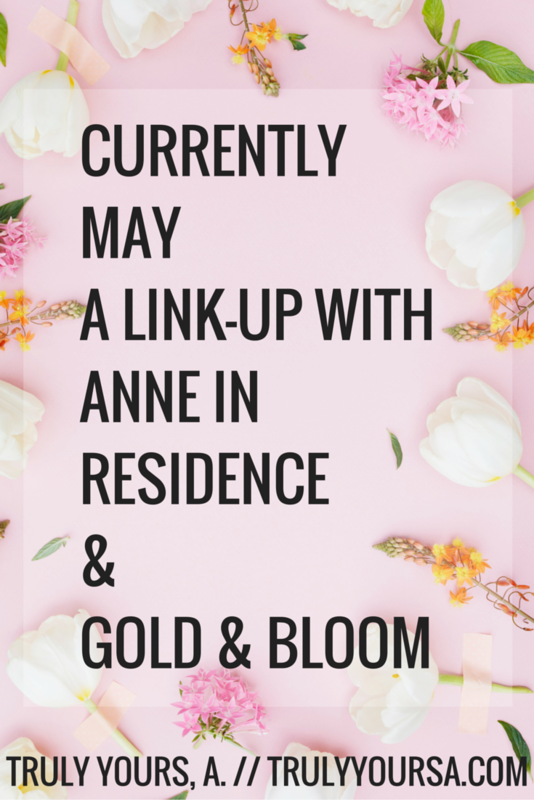 One of the most consistent posts on my blog is the Currently link up with Jenna of Gold & Bloom and Anne of Anne in Residence. I can't praise these ladies and their link up enough. I thoroughly enjoy being a part of this link up and hope to be for a while. 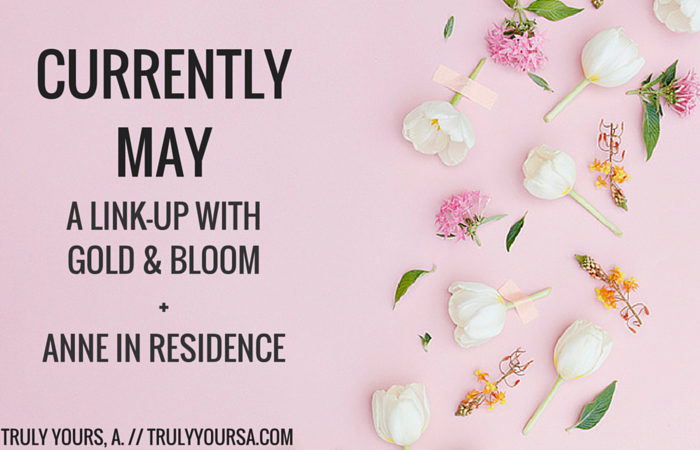 Keep reading to see what I'm currently celebrating, reading, pondering, sipping, and going! the return of spring. I'm so glad we've had some warmer weather here in RVA. The day Stephanie of Drunk on Vogue and I shot this 2016 Pantone Colors of the Year look it was 80 degrees! It's supposed to rain all this week, but hopefully the warmer temps return next week. I'm really looking forward to taking a couple days off work and enjoying all the outside activities Richmond has to offer. I still have an overdue copy of The Casual Vacancy by J.K. Rowling sitting on my coffee table. Honestly, I haven't read past the first page. Hopefully I'll get to the library soon and check out a new book. I have been reading more blogs in my downtime though! My current fave is Hello Hustle - they have tons of posts about style, fitness, work, and food. I highly suggest you check them out when you get a chance! the meaning life. Just kidding! Nothing that deep has crossed my mind lately, but I have been wondering about my future. I'm still not entirely sure about what I want to do with my life and I feel the need to come up with something sooner rather than later. I haven't been able to stop drinking strawberry milkshakes from Chik-fil-A or Honest Tea's Tropical Green Tea. Both are super delicious and refreshing when it gets hot out! I'm also trying to come up with the perfect iced coffee recipe using my Keurig. Hopefully I come up with something tasty soon and I can share it with all of you! I'm pretty sure this is supposed to be a travel prompt, but unfortunately I'm not going anywhere any time soon. I am going crazy for the color Rose Quartz though. If you checked out my collaboration post from earlier this week you'll know that I recently fell in love with this beautiful blush color. I can't wait to share all my dusty pink finds on the blog! What are you currently celebrating, reading, pondering, sipping, or going? Let me know in the comments below!